English essayist and miscellaneous writer, born at Southgate, Middlesex, on the 19th of October 1784. His father, the son of a West Indian clergyman, had settled as a lawyer in Philadelphia, and his mother was the daughter of a merchant there. Having embraced the loyalist side, Leigh Hunt's father was compelled to fly to England, where he took orders, and acquired some reputation as a popular preacher, but want of steadiness, want of orthodoxy, and want of interest conspired to prevent his obtaining any preferment. He was engaged by James Brydges, 3rd duke of Chandos, to act as tutor to his nephew, James Henry Leigh, after whom Leigh Hunt was called. The boy was educated at Christ's Hospital, of which school he has left a lively account in his autobiography. As a boy at school he was an ardent admirer of Thomas Gray and William Collins, writing many verses in imitation of them. An impediment in his speech, afterwards removed, prevented his being sent to the university. "For some time after I left school", he says, "I did nothing but visit my school-fellows, haunt the book-stalls and write verses." These latter were published in 1801 under the title of Juvenilia, and contributed to introduce him into literary and theatrical society. He began to write for the newspapers, and published in 1807 a volume of theatrical criticisms, and a series of Classic Tales with critical essays on the authors. In 1808 he left the War Office, where he had for some time been a clerk, to become editor of the Examiner newspaper, a speculation of his brother John. The new journal with which Leigh Hunt was connected for thirteen years soon acquired a high reputation. It was perhaps the only newspaper of the time which owed no allegiance to any political party, but assailed whatever seemed amiss, "from a principle of taste", as John Keats happily expressed it. The taste of the attack itself, indeed, was not always unexceptionable; and one upon the Prince Regent, the chief sting of which lay in its substantial truth, occasioned (1813) a prosecution and a sentence of two years' imprisonment for each of the brothers. The effect was to give a political direction to what should have been the career of a man of letters. But the cheerfulness and gaiety with which Leigh Hunt bore his imprisonment attracted general attention and sympathy, and brought him visits from Lord Byron, Thomas Moore, Lord Brougham and others, whose acquaintance exerted much influence on his future destiny. In 1810-11 he edited for his brother John a quarterly magazine, the Reflector, for which he wrote "The Feast of the Poets", a satire which gave offense to many contemporary poets, and particularly offended William Gifford of the Quarterly. The essays afterwards published under the title of the Round Table (2 vols., 1816-17), conjointly with William Hazlitt, appeared in the Examiner. In 1816 he made a permanent mark in English literature by the publication of his Story of Rimini. There is perhaps no other instance of a poem short of the highest excellence having produced so important and durable an effect in modifying the accepted standards of literary composition. The secret of Hunt's success consists less in superiority of genius than of taste. His refined critical perception had detected the superiority of Geoffrey Chaucer's versification, as adapted to the present state of the language by John Dryden, over the sententious epigrammatic couplet of Alexander Pope which had superseded it. By a simple return to the old manner he effected for English poetry in the comparatively restricted domain of metrical art what William Wordsworth had already effected in the domain of nature; his is an achievement of the same class, though not of the same calibre. His poem is also a triumph in the art of poetical narrative, abounds with verbal felicities, and is pervaded throughout by a free, cheerful and animated spirit, notwithstanding the tragic nature of the subject. It has been remarked that it does not contain one hackneyed or conventional rhyme. But the writer's occasional flippancy and familiarity, not seldom degenerating into the ludicrous, made him a mark for ridicule and parody on the part of his opponents, whose animosity, however, was rather political than literary. In 1818 appeared a collection of poems entitled Foliage, followed in 1819 by Hero and Leander, and Bacchus and Ariadne. In the same year he reprinted these two works with The Story of Rimini and The Descent of Liberty with the title of Poetical Works, and started the Indicator, in which some of his best work appeared. Both Keats and Shelley belonged to the circle gathered around him at Hampstead, which also included William Hazlitt, Charles Lamb, Bryan Procter, Benjamin Haydon, Cowden Clarke, C. W. Dilke, Walter Coulson (editor of the Globe after 1823), John Hamilton Reynolds, and in general almost all the rising young men of letters of liberal sympathies. He had now for some years been married to Marianne Kent, who seems to have been sincerely attached to him, but was not in every respect a desirable partner. His own affairs were by this time in the utmost confusion, and he was only saved from ruin by the romantic generosity of Shelley. In return he was lavish of sympathy to Shelley at the time of the latter's domestic distresses, and defended him with spirit in the Examiner, although he does not appear to have at this date appreciated his genius with either the discernment or the warmth of his generous adversary, Professor Wilson. Keats he welcomed with enthusiasm, and introduced to Shelley. He also wrote a very generous appreciation of him in the Indicator, and, before leaving for Italy, Keats stayed with Hunt at Hampstead. Keats seems, however, to have subsequently felt that Hunt's example as a poet had been in some respects detrimental to him. After Shelley's departure for Italy (1818) Leigh Hunt's affairs became still more embarrassed, and the prospects of political reform less and less satisfactory. His health and his wife's failed, and he was obliged to discontinue his charming series of essays entitled the Indicator (1819-21), having, he says, "almost died over the last numbers." These circumstances induced him to listen to a proposal, which seems to have originated with Shelley, that he should proceed to Italy and join Shelley and Byron in the establishment of a quarterly magazine in which Liberal opinions should be advocated with more freedom than was possible at home. The project was injudicious from every point of view; it would have done little for Hunt or the Liberal cause at the best, and depended entirely upon the cooperation of Byron, the most capricious of allies, and the most parsimonious of paymasters. Byron's principal motive for acceding to it appears to have been the expectation of acquiring influence over the Examiner, and he was exceedingly mortified on discovering when too late that Hunt had parted, or was considered to have parted, with his interest in the journal. Leigh Hunt left England for Italy in November 1821, but storm, sickness and misadventure retarded his arrival until the 1st of July 1822, a rate of progress which Thomas Love Peacock appropriately compares to the navigation of Ulysses. The tragic death of Shelley, a few weeks later, destroyed every prospect of success for the Liberal. Hunt was now virtually a dependant upon Byron, whose least amiable qualities were called forth by the relation of patron to an unsympathetic dependant, burdened with a large and troublesome family. He was moreover incessantly wounded by the representations of his friends that he was losing caste by the connection. The Liberal lived through four quarterly numbers, containing contributions no less memorable than Byron's "Vision of Judgment" and Shelley's translations from Faust; but in 1823 Byron sailed for Greece, leaving his coadjutor at Genoa to shift for himself. The Italian climate and manners, however, were entirely to Hunt's taste, and he protracted his residence until 1825, producing in the interim Ultra-Crepidarius, a Satire on William Gifford (1823), and his matchless translation (1825) of Francesco Redi's Bacco in Toscana. In 1825 an unfortunate litigation with his brother brought him back to England, and in 1828 he committed his greatest mistake by the publication of his Lord Byron and some of his Contemporaries. The work is of considerable value as a corrective of merely idealized estimates of Lord Byron. But such a corrective should not have come from one who had lain under obligations to Byron. British ideas of what was decent were shocked, and the author especially writhed under the withering satire of Moore. For many years ensuing the history of Hunt's life is that of a painful struggle with poverty and sickness. He worked unremittingly, but one effort failed after another. Two journalistic ventures, the Tatler (1830-32), a daily devoted to literary and dramatic criticism, and Leigh Hunt's London Journal (1834-35), were discontinued for want of subscribers, although in the latter Leigh Hunt had able coadjutors, and it contained some of his best writing. His editorship (1837-38) of the Monthly Repository, in which he succeeded W. J. Fox, was also unsuccessful. The adventitious circumstances which had for a time made the fortune of the Examiner no longer existed, and Hunt's strong and weak points, his refinement and his affectations, were alike unsuited to the general body of readers. In 1832 a collected edition of his poems was published by subscription, the list of subscribers including many of his opponents. In the same year was printed for private circulation Christianism, the work afterwards published (1853) as The Religion of the Heart. A copy sent to Thomas Carlyle secured his friendship, and Hunt went to live next door to him in Cheyne Row in 1833. Sir Ralph Esher, a romance of Charles II's period, had a success, and Captain Sword and Captain Pen (1835), a spirited contrast between the victories of peace and the victories of war, deserves to be ranked among his best poems. In 1840 his circumstances were improved by the successful representation at Covent Garden of his Legend of Florence, a play of considerable merit. Lover's Amazements, a comedy, was acted several years afterwards, and was printed in Leigh Hunt's Journal (1850-51); and other plays remained in manuscript. In 1840 he wrote introductory notices to the work of Richard Brinsley Sheridan and to Moxon's edition of the works of Wycherley, Congreve, Vanbrugh and Farquhar, a work which furnished the occasion of Macaulay's essay on the Dramatists of the Restoration. The pretty narrative poem of The Palfrey was published in 1842. The time of Hunt's greatest difficulties was between 1834 and 1840. He was at times in absolute want, and his distress was aggravatcd by domestic complications. By Macaulay's recommendation he began to write for the Edinburgh Review. In 1844 he was further benefited by the generosity of Mrs. Shelley and her son, who, on succeeding to the family estates, settled an annuity of �120 upon him; and in 1847 Lord John Russell procured him a civil list pension of �200. The fruits of the improved comfort and augmented leisure of these latter years were visible in the production of some charming volumes. Foremost among these are the companion books, Imagination and Fancy (1844), and Wit and Humour (1846), two volumes of selections from the English poets. In these Leigh Hunt shows himself within a certain range the most refined, appreciative and felicitous of critics. Homer and Milton may be upon the whole beyond his reach, though even here he is great in the detection of minor and unapprehended beauties; with Edmund Spenser and the old English dramatists he is perfectly at home, and his subtle and discriminating criticism upon them, as well as upon his own great contemporaries, is continually bringing to light unsuspected beauties. His companion volume on the pastoral poetry of Sicily, quaintly entitled A Jar of Honey from Mount Hybla (1848), is almost equally delightful. The Town (2 vols., 1848) and Men, Women and Books (2 vols., 1847) are partly made up from former material. The Old Court Suburb (2 vols., 1855) is an anecdotic sketch of Kensington, where he long resided before his final removal to Hammersmith. In 1850 he published his Autobiography (3 vols. ), a na�ve and accurate piece of self-portraiture, full of affectations, but on that account free from the affectation of unreality. It contains very detailed accounts of some of the most interesting periods of the author's life, his education at Christ's Hospital, his imprisonment, and his residence in Italy. A Book for a Corner (2 vols.) was published in 1849, and his Table Talk appeared in 1851. In 1855 his narrative poems, original and translated, were collected under the title of Stories in Verse, with an interesting preface. He died at Putney, London on the 28th of August 1859. Leigh Hunt's virtues were charming rather than imposing or brilliant; he had no vices, but very many foibles. His great misfortune was that these foibles were for the most part of an undignified sort. His affectation is not comparable to Byron's, nor his egotism to Wordsworth's, but their very pettiness excites a sensation of the ludicrous. The very sincerity of his nature is detrimental to him; the whole man seems to be revealed in everything he ever wrote, and hence the most beautiful productions of his pen appear in a manner tainted by his really very pardonable weaknesses. Some of these, such as his helplessness in money matters, and his facility in accepting the obligations which he would have delighted to confer, involved him in painful and humiliating embarrassments, which seem to have been aggravated by the mismanagement of those around him. The notoriety of these things has deprived him of much of the honor due to him for his fortitude under the severest calamities, for his unremitting literary industry under the most discouraging circumstances, and for his uncompromising independence as a journalist and an author. It was his misfortune to be involved in politics, for he was as thorough a man of letters as ever existed, and most of his failings were more or less incidental to that character, But it is not every consummate man of letters of whom it can be unhesitatingly affirmed that he was brave, just and pious. When it was suggested that Leigh Hunt was the original of Harold Skimpole in Bleak House, Charles Dickens denied that any of the shadows in the portrait were suggested by Hunt, who was, he said, "the very soul of truth and honor." 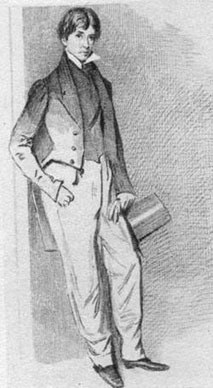 Leigh Hunt's character as an author was the counterpart of his character as a man. In some respects his literary position is unique. Few men have effected so much by mere exquisiteness of taste in the absence of high creative power; fewer still, so richly endowed with taste, have so frequently and conspicuously betrayed the want of it; and he was incapable of discovering where familiarity became flippancy. But his poetry possesses a brightness, animation, artistic symmetry and metrical harmony, which lift the author out of the rank of minor poets, particularly when the influence of his example upon his contemporaries is taken into account. He excelled especially in narrative poetry, of which, upon a small scale, there are probably no better examples than "Abou ben Adhem" and "Solomon's Ring." He possessed every qualification for a translator; and as an appreciative critic, whether literary or dramatic, he has hardly been equalled. Leigh Hunt's other works include: Amyntas, A Tale of the Woods (1820), translated from Tasso; The Seer, or Common-Places refreshed (2 pts., 1840-41); three of the Canterbury Tales in The Poems of Geoffrey Chaucer, modernized (1841); Stories from the Italian Poets (1846); compilations such as One Hundred Romances of Real Life (1843); selections from Beaumont and Fletcher (1855); and, with S. Adams Lee, The Book of the Sonnet (Boston, 1867). His Poetical Works (2 vols. ), revised by himself and edited by Lee, were printed at Boston, Massachusetts, in 1857, and an edition (London and New York) by his son, Thornton Hunt, appeared in 1860. Among volumes of selections are: Essays (1887), edited by A. Symons; Leigh Hunt as Poet and Essayist (1889), edited by C. Kent; Essays and Poems (1891), edited by R. B. Johnson for the Temple Library. His Autobiography was revised by himself shortly before his death, and edited (1859) by his son Thornton Hunt, who also arranged his Correspondence (2 vols., 1862). Additional letters were printed by the Cowden Clarkes in their Recollections of Writers (1878). The Autobiography was edited (2 vols., 1903) with a full bibliographical note by R. Ingpen. A bibliography of his works was compiled by Alexander Ireland (List of the Writings of William Hazlitt and Leigh Hunt, 1868).